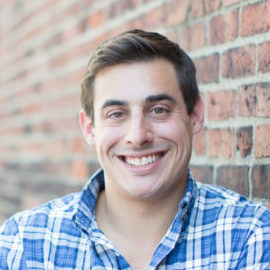 Rob Biederman is the co-founder and CEO of Catalant Technologies. Catalant helps companies build an agile workforce, with technology and programs that enable them to access the talent they need, when they need it, wherever it is. Forward-looking executives partner with Catalant to transform the structure of how their companies’ work gets done and the behaviors that drive or delay agile workforce transformation. Over 20 percent of the Fortune 1000 use Catalant’s best practices and platform to frictionlessly access and deploy internal and external talent, including over 50,000 independent consultants and 1,000 boutique firms in Catalant’s expert marketplace. Prior to founding Catalant, Biederman was a private equity investor at Goldman Sachs and Bain Capital, where he focused on the healthcare and high-tech industries. Biederman attended Princeton University and graduated from Harvard Business School.